Breakthrough results were achieved by a group of researchers from Mayo Clinic, Kazan Federal University, and several other institutions. A male patient suffered a traumatic fracture when he was 26 and became paralyzed as a result. After three years of unsuccessful treatments, a different approach was tested. A 16-contact electrode array was implanted onto his spinal cord. Various configurations of signals were then used to evoke motor potential. This particular property was used by the team. In the course of 10 months, the patient tried to make his spinal cord react to electric stimulation and went through intense motor training. After that time passed, he was able to move autonomously on a special treadmill going at 0.22 meters per second. “Electric stimulation of the spinal cord is currently considered one of the most promising treatments for paralysis sufferers. This research is a serious breakthrough. 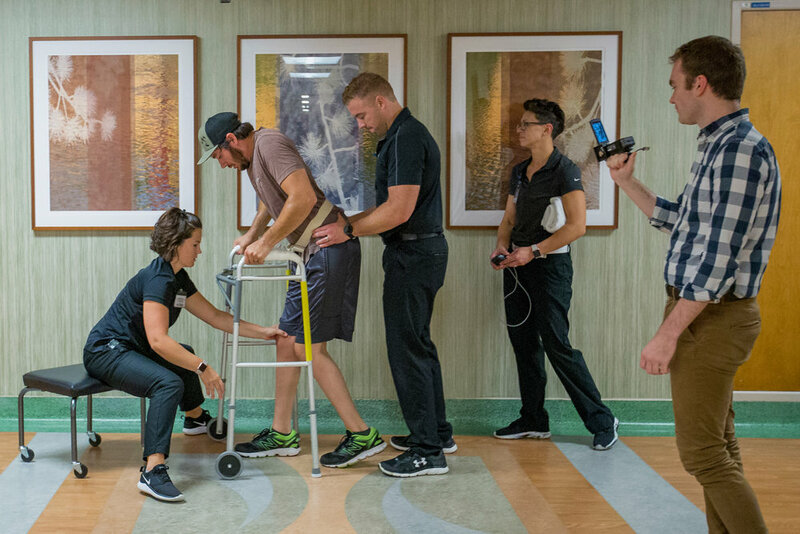 A person was able to move autonomously without specialist’s assistance. It’s a huge step forward,” added Dr. Moshonkina. Neural engineers hope that this technology will help many people restore their motor functions. Of course, running is out of the question, but they may be able to stand and walk slowly. Unfortunately, signals from the brain to the spinal cord have not yet been deciphered. Scientists are still on their way to actually running the nervous system from outside and to creating a real-time signal translator for computer-neuron interfaces. In the project, Kazan Federal University is represented by Igor Lavrov. This text was originally printed in the Russian language in Rossiyskaya Gazeta (Russian Gazette). Our translation has been edited for brevity and clarity. Юрий Медведев. Огромный шаг для человечества // Российская газета. – № 220 (7683).